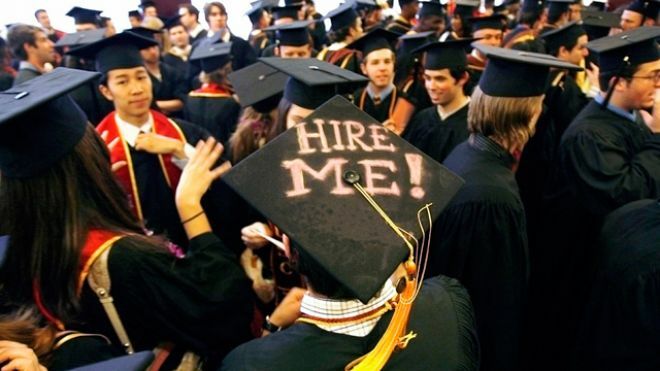 As a recent grad and freelancer who is lookin’ to score a full time position with a company that makes my heart flutter, I have been totally deflated and frustrated by the lack of relevant and up-to-date job hunting information and resources that are geared for the 2010’s and beyond and help new graduates. Most of the job hunting info never got updated past the digital age and it especially doesn’t weather the test of time in a down economy. When I saw that Melissa Anzman of Loosen Your White Collar was coming out with a new ebook, it was like all the prayers of frustrated under employed graduates had been answered. Seriously, angels singing. I got a sneak peak at the guide and instantly had to pour over my Facebook and LinkedIn to make sure I was implementing her insider tips on landing a job… it’s that good. 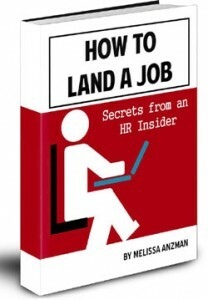 How to Land a Job: Secrets from an HR Insider is the guide you need to land a job in the digital age. I read through this book and was astounded with the sheer amount of juicy insider tips. She talks about what recruiters actually look for, and the most common mistakes many of us make when applying for jobs. It’s your go-to-guide for landing a job. Learn how to clean up the Facebook & Google search result dirt recruiters can find on you before it ruins you. Action Steps to make your LinkedIn profile stand out from 100’s of others and help recruiters and HR reps find you. If you’ve been frustrated that the same jobs get hundreds of other applications, help yourself get found. What’s better, more applications to cover more ground or strategic applications for the only the jobs your really want? Melissa helps you get focused and craft a strategy to cut through the clutter. Includes a “Skill Level Job Title” Tool. If you’ve been applying to jobs and don’t know what the difference between one title to another (like coordinator vs. manager vs. specialist vs. associate) there’s a chart for that which can match up your qualifications with what title you actually should have. But the best part, is the winner gets his/her résumé personally critiqued by Melissa- a $75 value! My advice- go ahead and buy How To Land A Job: Secrets From A HR Insider and if you’re our winner you’ll either get your package upgraded or get reimbursed…a win-win. Seriously guys, this guide is gold. I know you will love this book as much as I did, this eBook is brilliant. This might just be the opportunity you need to turn your job search around- go for it & good luck! Wow, this definitely sounds like something I’ll be picking up. I’m getting ready to graduate and these are definitely current things I’m focusing on right now. I’ve heard a lot about online resumes, so I’m wondering if companies are actually looking at them? Lots of companies at our school career fairs actually cannot accept resumes anymore and some people have been saying to start an online resume and put your link on a business card so you can hand it out; is this accurate to the overall current marketplace? Hi Kristina – I hope you do pick up a copy. 🙂 As for online resumes, it really depends upon the company and where you place them. If you are in a “creative” field, then I would absolutely recommend having an online profile set-up, but apply it a bit differently than a resume – showcase your creativity and talents. Thanks for the reply! I’ve been (semi) working on my resume (although it’s been a while), but I still plan on keeping a paper one. I just wasn’t sure if having the online resume was best for me as I’m aiming for a career in management of some sort. I just know the big companies for our school career fairs can’t take them so the option seems great enough to have for business cards and call backs. It seems like a great option for a backup, as you can provide basic info and maybe even the option to download your resume in a PDF format? One of my teachers recommended using the Google webpage creators as you can connect your calendar and what not so they know when to call you for interviews. this is such a great giveaway! i’ve been out of work for almost a year now. i’ll take any advice i can get 🙂 the most challenging thing for me right now is staying positive because there’s only so much rejection one can take before it takes its toll on you. There’s a lot of great stuff in the book that you can use to get you out of the searching slump. Good luck in the giveaway! I address that and much more in the first chapter! 🙂 Including how to jump up a level during the job-landing process and how to address experience that is a varied. This is such an opportune moment for a giveaway like this! I’m a senior in college and I’ve got about seven months before the real world hits. I think this is such a great book for jobhunters, and I really think I’m going to need all the help I can get! Hope this giveaway works in my favor. If not, congratulations to whoever wins! This could not have come at a more perfect time in my life! I’m more aggressively seeking a change of jobs, in a field that is small & tough (in New Orleans, at least). Whoops. Help if I’d seen the prompt– though my previous one alludes to it, my biggest concern and challenge is having a very specific degree (Arts Administration) in a culturally-rich city that undervalues and doesn’t have professional opportunities for the position! Not at all – this book is targeted and applicable for ALL job seekers (from new grad to experienced hire)! I address it all. Wow – this is exactly what I am looking for! I know about a lot of the newer ways to get found, but somtimes I look at resumes and wonder where the line is between being creative and being a mess – haha! Actually I’m a freelancer who isn’t seeking “permanent” employment, but believe there are still things I could learn from this book. I’m graduating with my PhD in about a year and I think this book could help me figure out how to find a job. I know my competition is going to be fierce, so I could use all the help I can get! I can’t wait to find a job and start earning real money. So exciting to be almost done with all of that schooling! This book will definitely help you get started and stand out from the pack. Good luck! 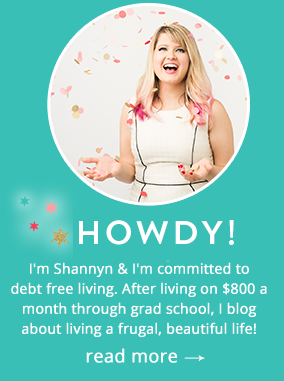 Hi Freda – I’m not sure if you mean me or Shannyn, but thank you for the kind words. 🙂 And I hope you’ve seized her RSS feed as well.